At HCS New Orleans, we announced that we are dipping our toes back into competition for Halo: The Master Chief Collection with a Halo 3 2v2 tournament during the HCS 2018 Finals at DreamHack Atlanta on November 16-18. The reception to the announcement has been amazing and honestly surpassed our expectations. We're hoping this excitement from the community thus far results in strong participation and great online viewership, as we hope to continue investing in MCC esports in 2019. With so much excitement building for the tournament, we knew we had to take it up a notch to make the tournament experience even better for players and viewers alike. To start, the tournament now has an official name and logo to match. Introducing the Halo 3 2v2 Showdown! The 2v2 Showdown will feature a double elimination bracket. All matches will be Best of 3, except for the Grand Finals which will be Best of 5. The tournament will start Saturday after the Halo 5 open 4v4 has concluded and will run simultaneously alongside the Championship Bracket of the 4v4. Yes, this does mean that pros competing the HCS 2018 Finals will not be able to compete in the 2v2 Showdown due to scheduling conflicts. A full schedule will be released as we get closer to the event. Matches will be broadcasted on Saturday night and Sunday to showcase more top Halo 3 gameplay. Team pass: The first 32 team to purchase a 2v2 Showdown team pass will be entered into the tournament. Onsite: The first 32 teams to register onsite at the event on Saturday morning will be entered into the tournament. You may have seen a series of tweets from Tashi stating that teams that purchase a 4v4 team pass will be able to select a field to also register for the 2v2. That will no longer be the case. With this new registration process, teams will no longer be required to play Halo 3 with their Halo 5 teammates (when purchasing a 4v4 team pass) and have the freedom to register to player with anyone in the venue. Players competing in the 4v4 open bracket will also not have to commit to playing in the 2v2 Showdown too early, in case they make it to the championship bracket of the 4v4. Passes for the 4v4 the 2v2 will be available starting next Friday, September 14, the first day of HCS London. Because we can never get enough Halo 3 action – our friends at UGC will be hosting the official online qualification tournaments which will not only give cash prizing but also points to seed the Halo 3 2v2 Showdown. If you’re looking to compete in the 2v2 Showdown, you don’t want to miss these qualifier matches as they’ll ensure the entire tournament is as competitive as possible. Registration to compete is now OPEN at UGC.gg/Halo3 be sure to follow @UGCEvents on Twitter for all the latest. For the 2v2 Showdown as well as the UGC 2v2 Qualifiers, we’ll be using settings based on the Halo 3 MLG v8 tournament settings. This is the first major Halo 3 2v2 tournament, and while we feel confident about these settings, we’ll be keeping a close eye how they’re performing in terms of balance/game play, watchability, match length, and more. We’ll also be reaching out to top players to get their feedback as well. These are currently available in the Official HCS fileshare within Halo: The Master Chief Collection. So, we’re excited to announce that thanks to your votes, the next series of Microsoft Store Halo tournaments will be featuring Halo 3! 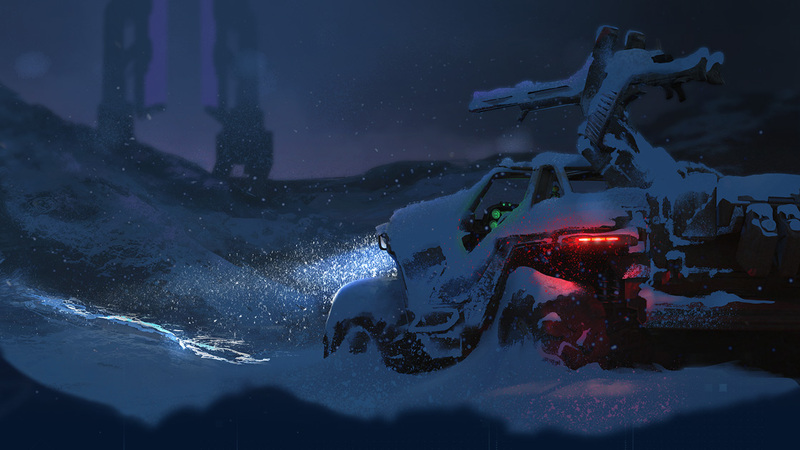 Once again the Microsoft Store will play home to local Halo community competition for players of all skill levels. To celebrate Halo: The Master Chief Collection being available on Xbox Game Pass, we’ll be giving out free Xbox Game Pass subscriptions to teams who place in the Top 3 at every tournament. More details including settings and registration links will be available in the coming weeks. 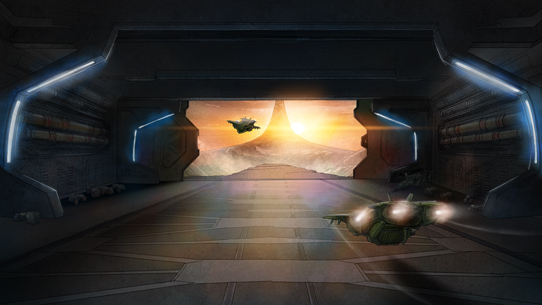 In the coming weeks, we’ll be adding a Halo 3 2v2 Showdown playlist to Halo: The Master Chief Collection for players to not only enjoy some ranked 2v2 action, but to also get valuable practice on tournament settings in anticipation of the big tournament. We’ll be using data and feedback collected from within this playlist to make any necessary changes to settings ahead of the 2v2 Showdown. We hope you’re as excited as we are for the epic return of competitive Halo 3! 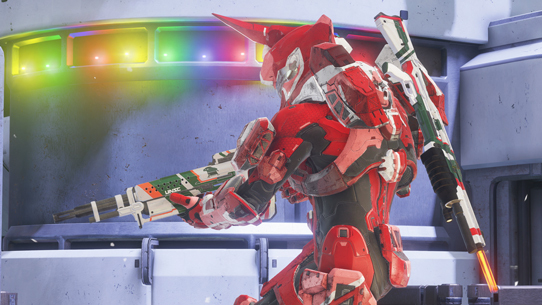 Be sure to show your support by playing in the MCC Matchmaking Playlist, competing at MS Store tournaments, watching online broadcasts, and participating in the 2v2 Showdown itself. For all the latest on Halo esports, be sure to keep it locked to @HCS on Twitter and Halo.gg.